We're pretty unique among panel companies. As an online market research sample aggregator, we've partnered closely with more than 150 different online panels spanning international and domestic, consumer, business-to-business and healthcare. This breadth and depth, plus more than 20 years of online research experience, let us customize a solution just for you. Our goal is to bring the right panels to your project specs, rather than make your specs fit an available panel. 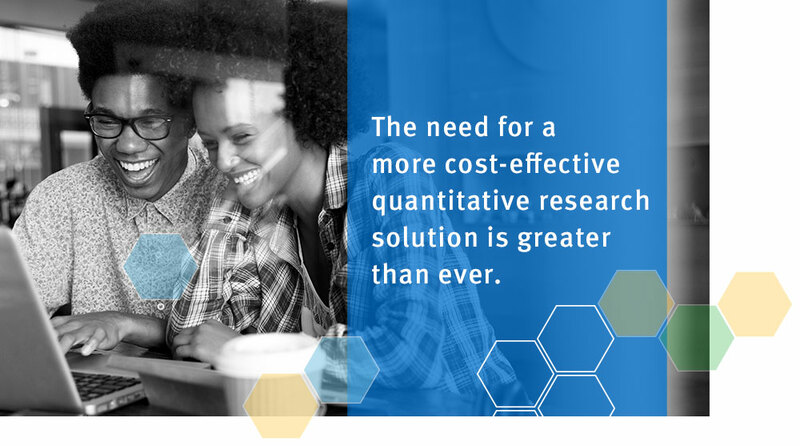 We leverage our capabilities to develop the highest-quality, most cost-effective sample results in the shortest amount of time - on behalf of you and your clients. Our sample comes largely from actively managed online research panels, though we can access other sources depending on the target group, and upon your request or approval. While our focus has been on double opt-in online panelists, we've enhanced our offering with river and social media sample so that we can deliver the most representative sampling possible. We excel in delivering hard-to-reach groups and what would normally be considered a low-incidence sublet of the general population. We do this by encouraging our partners to increase profiling and by continually looking for specialized panels. For less responsive groups, we oversample on the front end to eliminate the scramble for more difficult quotas at the end of the survey. We use proprietary SWIFT technology to fingerprint each respondent in each panel and de-duplicate on each project regardless of if one or multiple panels are used, as well as our IntelliBlend offering to provide the most accurate, representative data possible.